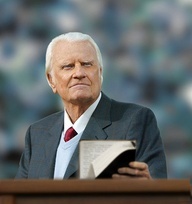 I have a friend named Sean who knows Billy Graham. For years my friend was a manager at a hotel that connected to a hospital, the same hospital that Mr. Graham visited regularly to have tests run. At some point during his stay each time, the evangelist would come into Sean’s office, take a seat and talk with him. About life. About God. About the state of the world and the state of his heart. I was amazed by the idea of such an icon taking the time to get to know this young man. But what impacted my friend most by the whole interaction was the way it ended each time. Billy Graham always said the same thing as he was shaking his hand and leaving his office, “Sean, thank you for your time”. Wow. Can you imagine? Is it possible that our rarest commodity is time? In this age that values money and materials above all else, perhaps what we should be most acutely aware of is the way our time is spent. We each have choices to make every day; spend hours in front of screens, drinking in the latest/funniest/edgiest offerings by creative strangers or share our dreams and hearts with those in the room. Have you ever had someone you trust and admire pour themselves into you, investing their time and attention into your story? If so, you know the feeling of worth this gives, have you then turned around and done the same thing for someone else? It’s been at least a dozen years since I’ve heard this story, but it still stays with me. When I am leaving a meeting or an interaction that involved someone choosing to spend their time with me, I try to remember to thank them for their time. If it’s good enough for Billy Graham, it’s good enough for me.